When you donate to NCS Chicago West, you’re affirming your commitment to building the friendships, faith, and focus of the men of our community. Your tax deductible donation will empower the chapter to continue reaching out to the men of our community with friendship and support. 1) When you make the donation the organization name is “Vinebranch”. This is the 501(c)3 that provides the fiscal service allowing for tax deductible contributions to NCS Chicago-West. 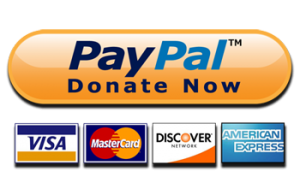 2) After you fill out the initial page of personal contact information you will be taken to the PayPal page where you have the options for completing your donation. If you don’t have a PayPal account click the work “Continue” found above the credit card logo icons.